Don’t you just love it when spring rolls around and you can put away all your winter stuff and bring out your spring-y things? As you pull out your winter clothing from the closet, have a donation box handy for any clothes or shoes you didn’t wear this past winter, as well as clothes and shoes your children have outgrown. Put the box in your car, and make a stop at your nearest Goodwill or Salvation Army next time you are out. The best place to store winter bedding and clothing is in the living area of your home because it’s climate controlled, unlike your basement, where your stuff could end up with mildew. (I speak from experience.) 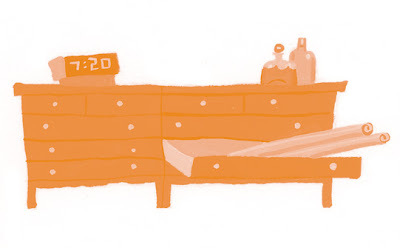 Your storage space should be clean, dry, and airy with no direct sunlight – perhaps under a guest bed? Use lidded plastic storage bins to protect material from dust, insects, and rodents. If lack of storage space is an issue, vacuum-seal bags are a great option; you can reduce the volume of material by up to 75 percent. And did you know that they make hanging space-saving bags for winter coats and suits? Imagine condensing several feet of hanging items to just one foot or less. Finally, once you store all your winter things and bring out your spring clothing and bedding, take some time to organize your linen and clothes closet and straighten up your dresser drawers and shelves. Then go out and play. For more storage tips, check out my latest book, The One-Minute Organizer A to Z Storage Solutions, available in bookstores everywhere. 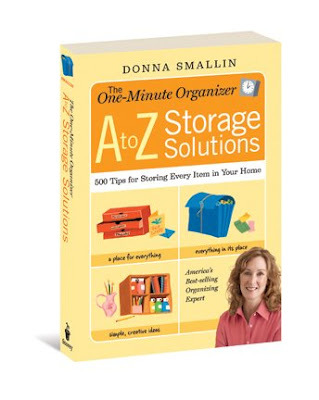 Donna Smallin is the author of The One-Minute Organizer A to Z Storage, Organizing Plain & Simple, Cleaning Plain & Simple, and three other books in the One-Minute series. She is a member of the National Association of Professional Organizers and is always thinking of new ways to help her readers lead more organized lives. She lives in Mesa, Arizona.